The Wall Control Pegboard Slotted Tool Holder Bracket Metal Pegboard Accessory for Wall Control's Pegboard and Slotted Tool Board is a pegboard accessory very similar to Wall Control's Pegboard Screwdriver Holder Assembly but features slots extending from the tool holes to the front of the bracket which allow for larger and wider shafted hand tools to be stored on pegboard such as open end wrenches. In addition to being a pegboard accessory for open end wrenches, these pegboard slotted tool holders also accommodate other household items and tools like narrow paintbrushes and are a great pegboard accessory for chisels. The Slotted Pegboard Tool Holder features 5 slots for pegboard tool storage. Wall Control Slotted Metal Pegboard Hooks and Supplies feature a scratch and rust resistant baked-on finish. These more secure and stable toolboard accessories are for use with the slots found in all Wall Control Metal Pegboard tool board panels only. Wall Control Slotted Toolboard accessories offer a patented engagement that requires two deliberate motions up-and-down to engage and disengage the hooks. This feature makes Wall Control Slotted Pegboard accessories less likely to fall out of the tool board than conventional peg hooks that can easily fall off when tools are removed. Although Wall Control Metal Pegboard Panels will accept conventional 1/4in pegboard accessories as well as Wall Control Slotted Accessories the Slotted Secure Tool Board Hooks included in this set are only for use with Wall Control Metal Pegboard Panels and Tool Boards. 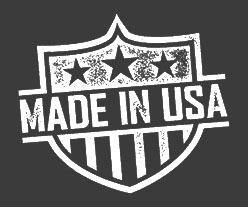 Wall Control Pegboard Products are Made in the USA. The ASM-SL-008 Wall Control Slotted Tool Holder Bracket for Slotted Pegboard features a total of (5) available storage slot holes with the following dimensions. All (5) storage locations feature a 3/10 in wide channel opening up to a 3/5 in diameter storage hole. Only for use with Wall Control Pegboard and Slotted Tool Board Panels.